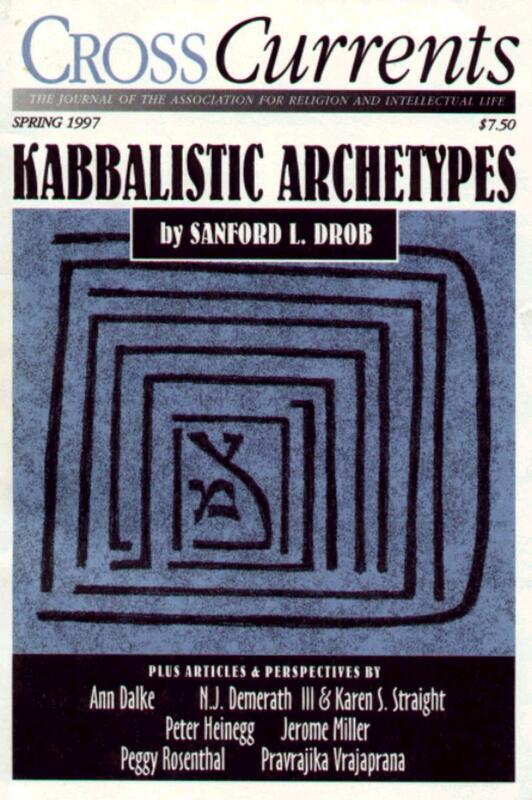 A series of articles by Sanford Drob pertaining to Jewish mysticism and other topics of Jewish interest. The Sefirot are the archetypal values through which God manifests Himself, as well as the elements through which He creates and structures the world. In addition, the Sefirot are said to be the core elements of the human mind. In this article Sanford Drob describes and interprets the ten Sefirot from both traditional Kabbalistic and contemporary points of view. Creative negation, Wisdom, Understanding, Love, Power, Beauty, Endurance, Splendor, Foundation, Sovereignty - the ten dimensions of the Kabbalists' universe - are shown to be a guide not only to the godhead's inner nature but to the psychological development of the human personality. This article was originally published in the Spring, 1997 issue of CrossCurrents: The Journal of the Association for Religion and Intellectual Life (ARIL) and appears courtesy of the ARIL website. The author describes 19 Kabbalistic Ideas that form the foundation of his current thinking regarding the New Kabbalah. From Kabbalistic Metaphors. A discussion of two responses to the suffering, contradictions and absurdities of earthly life--one that leads us fully back into the world (the "immanent solution") and the second that leads us to "higher worlds" (the "transcendent solution"). The two movements are each present in coincidentia oppositorum in Kabbalistic and Hasidic thought. This paper represents an important aspect of the author's own theology. The author relates his reminiscences of the rational-mystical philosopher, John Niemeyer Findlay at Boston University in the late 1970s. For more on Professor J.N. Findlay go to www.jnfindlay.com. The author considers the report of a Lithuanian rabbi, Chayyim Bloch, that Freud exclaimed “This is gold” when presented with a German translation of one of the works of Chayyim Vital, a 17th century Kabbalist and disciple of Isaac Luria. The psychological significance of the Lurianic Kabbalah is explored, and the Kabbalah is shown to be an important historical antecedent to psychoanalysis, and source for contemporary psychotherapeutic practice. The author shows how the Kabbalists, in their theory of the concealment, shattering, and restoration of the light of the infinite God, provide a theosophical analog to the psychoanalytic theory of libido, repression, and therapy. The Kabbalistic symbols of Ein-Sof and “the Other Side” are seen to be theosophical parallels to different aspects of the unconscious. The notion of Tikkun ha-Olam, the “Restoration of the World”, through which divine sexual energy, entrapped in the “husks” of the Other Side, is restored to God’s service, is interpreted as a metaphor for the therapeutic processes of “making the unconscious conscious” and restoring the libido to the service of the individual. Finally, the psychotherapeutic implications of several Lurianic symbols, including Ein-sof (the infinite godhead), Tzimtzum (concealment/ contraction), the Sefirot (the archetypes of creation), Shevirat ha-Kelim (the Breaking of the Vessels) and Tikkun ha-Olam (the Restoration of the World) are explored. S. Drob, Jacques Derrida and the Kabbalah. The author examines the parallels with, and possible impact of, the Kabbalah on the French Jewish philosopher who is the founder of "Deconstruction". The author explores Derrida's notions of differance and the trace in connection with similar notions in the Lurianic Kabbalah. From the article: "In one of his last meetings with Jacques Derrida, Emanauel Levinas is said to have asked Derrida to confess that he was in fact a modern day representative of the Lurianic Kabbalah. I learned of this from the death-of-God theologian, Thomas JJ Altizer, who related to me that he himself had heard it from Hillis Miller on the occasion of his introducing Altizer to Derrida himself. Whether apocryphal or true, the story seemed to confirm something I had suspected for quite some time, that an encounter with Derrida’s thought is an important gateway to a contemporary Kabbalistic philosophy and theology." S. Drob, The Coincidence of Opposites in Jewish Mysticism.. The author makes use of the notion of coincidentia oppositorum to develop the theme of a rational-mystical ascent to the absolute. Those interested in how an application of the coincidentia oppositorum idea to the problem of arriving at a comprehensive understanding of the human psyche are directed to: S. Drob: Fragmentation In Contemporary Psychology: A Dialectical Solution. The author discusses the multi-paradigmatic state of contemporary psychology and offers a dialectical solution inspired by his study of Hegelian philosophy and the history of mysticism. Readers may also be interested in: S. Drob: The Dilemma of Contemporary Psychiatry, which also explores the fragmentation and multi-paradigmatic state of psychiatry and clinical psychology. Contemporary scholarship on the Kabbalah has focused considerable attention on the Kabbalist's views of language and interpretation. One reason for this is, as Moshe Idel and others have observed, is that there is an important affinity between the Kabbalistic conception of infinite layers of meaning in scripture and contemporary philosophical ideas regarding the infinite interpretability of both texts and the world. In this essay, I will review some recent scholarship on Kabbalistic hermeneutics. IIn this paper the author shows how a careful consideration of Kabbalistic notions of "infinite interpretation" can not only lead to a new understanding of the relevance of Kabbalah to contemporary thought, but also to a radical new understanding of the Kabbalah's attitude toward "Torah" and religious life. In the Lurianic Kabbalah we are witness to a highly mythological account of the world’s creation, which at the same time provides a description of human creativity and the deep-structure of linguistic significance. By explicating how the Lurianic symbols reveal the very form of speech and writing, we can gain insight into both human creativity and language, and also deepen our understanding of the Kabbalah and its capacity to reveal the hidden nature of the world and God. Further, a Lurianic understanding of the emergence of the “linguistic subject,” provides insight into the role of humanity as a partner with G-d in the creation of the world. David Birnbaum's God and Evil, published by Ktav Press, is a bold and highly original synthesis which attempts to provide an overarching metaphysical solution to the vexing problem of radical evil in a world created and sustained by an all powerful, all knowing, benevolent God. In his foreword, Dr. Drob, summarizes Birnbaum's theodicy and relates it to the Kabbalah. Birnbaum's work can be regarded as an important contribution to the New Kabbalah. A discussion of Cordovero’s doctrine of the behinnot: the "interpenetration of the Sefirot" in connection with dialectics, the relationship between language and the world, the Wittgensteinian critique of metaphysics, the "unity of all things," and the metaphysics of "perspectives." S. Drob, IGGULIM AND YOSHER: THE KABBALISTIC THEORY OF "CIRCLES" AND LINES"
An explication of two Lurianic perspectives on the Sefirot, the first of which, "Circles" points to a transcendent God, who emanates the cosmos from outside the system, and the second of which, "Lines" points to an immanent God, who emanates the cosmos from within the mind of man.. The complimentarity of these two points of view in the Kabbalah is described. S. Drob, RABBI MAX DROB AND "TRADITIONAL JUDAISM." 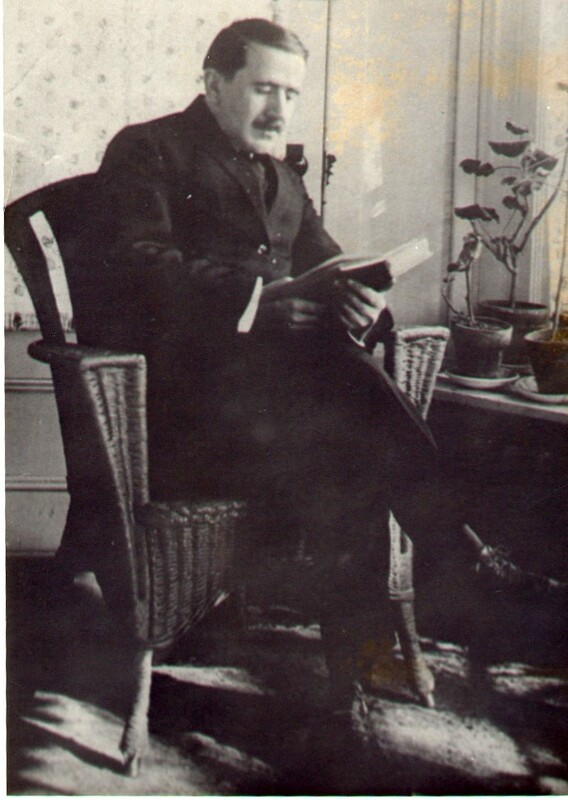 A biographical sketch of the author's grandfather, Rabbi Max Drob (1887-1959), who belonged to the earliest generation of 'European-born, Americanized graduates of the Jewish Theological Seminary. As one of the original founders of United Synagogue (1913), President of the Rabbinical Assembly (1927-1929) and a member of the Board of Directors of the Seminary, Drob represented a commitment to what he called traditional, yet thoroughly modern, Judaism during the formative years of the Conservative movement. His career in the rabbinate, which spanned nearly fifty years in four major cities, serves as a testimony to the difficulties encountered by an American Jewish leader who attempted to forge a synthesis between Halakhic Judaism and modern life during the early part of this century. This article originally appeared in the 1987 volume of Conservative Judaism. Recently, I was asked whether there is any potential relationship between the Kabbalah and the theology of Mordecai Kaplan (1881-1983), the founder of Jewish Reconstructionism. This article provides a brief discussion of Kaplan's naturalistic theology and its relationship to the Lurianic symbol of Tikkun ha-Olam. Discusses the Lurianic symbol of the Kellipot within the context of a New Kabbalah perspective on dogamtism, idolatry, atheism, and intellectual freedom. S. Drob, The World Trade Center and Pentagon Massacres: A New Kabbalah Perspective on International Terrorism. A discussion of how certain Kabbalistic principles can be of guidance in formulating our response to terrorism. 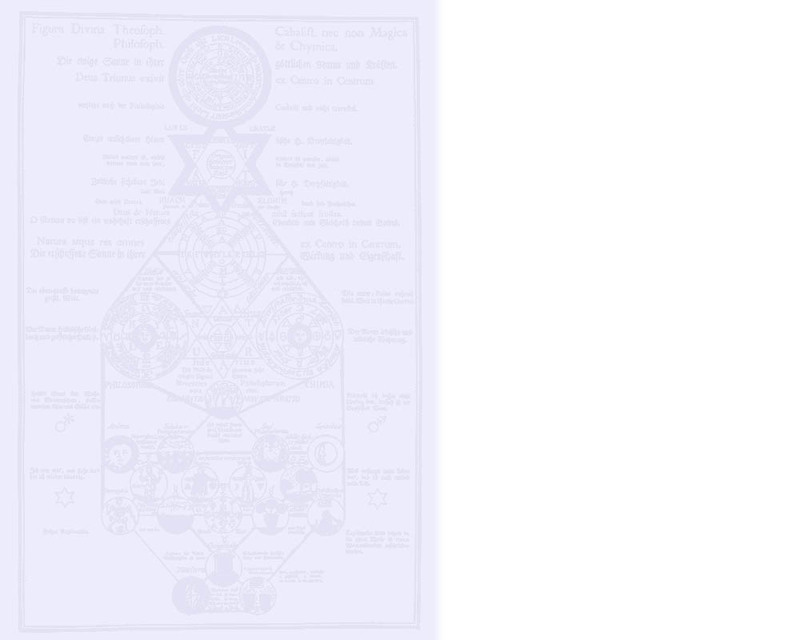 All material on New Kabbalah website (c) Sanford L. Drob, 2001-4.